A simple but delicious banana cake made even more special with a caramel frosting. 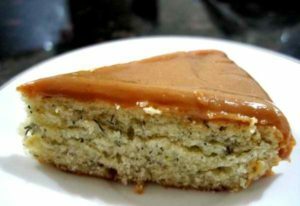 This banana cake can be served as is or with a dusting of powdered sugar but the caramel frosting makes it a slice of heaven on a plate! Here is an easy dessert recipe for Banana Cake with Caramel Frosting. Preheat oven to 350 degrees F. Lightly grease two 9-inch cake pans with cooking spray. Dust with flour, tap out any excess, and set aside. 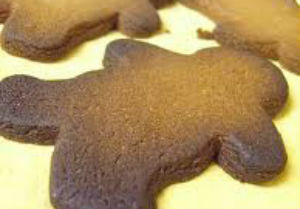 On a flat surface lined with a sheet of parchment paper, sift the flour, baking powder, baking soda, and salt. Transfer sifted dry ingredients into a medium bowl by running through the sifter again. Set aside. In a large bowl, beat the butter until light using a mixer at medium-high speed for about 1 minute. Add the sugar and continue to beat for 2 more minutes. Add the eggs, one at a time, beating thoroughly after each addition, and mix in the vanilla. Reduce mixer speed to low and add the flour mixture by thirds, alternating with the buttermilk and bananas and ending with the dry ingredients. Mix just enough to blend the batter after each addition. 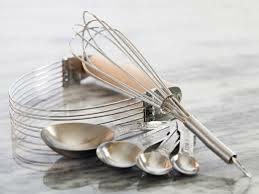 Divide the batter equally between the pans and bake on the middle rack of the oven until a pick inserted into each cake layer comes out clean, about 25 to 30 minutes. Cool in the cake pans on a wire rack for 15 minutes. Using a knife, loosen the cake layers from the pan sides and invert the layers onto the wire rack to cool completely. Meanwhile, make the frosting: Combine sugar, heavy cream, and lemon juice in a medium saucepan with a candy thermometer attached. Cook the mixture, without stirring, over medium-high heat to soft-ball stage (238 degrees F). Remove from heat and cool the caramel mixture to 140 degrees F. Place the butter on top of the slightly cooled caramel mixture. Remove the thermometer and, using a handheld mixer set on medium-high speed, beat the caramel until it thickens enough to hold its shape, lightens in color, and changes from translucent to opaque, about 5 minutes. Place about 1 cup of the caramel frosting on top of one of the banana cakes and spread evenly using a spatula. Place the second banana cake on top of the frosting. Cover the top and sides of the cake with the remaining frosting. 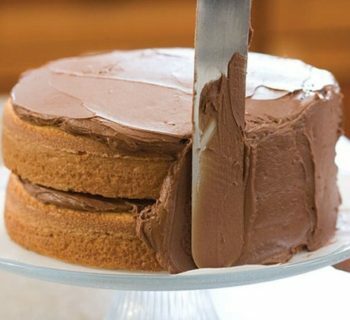 The frosting can get sticky over time and might be difficult to spread so apply immediately on cake while still warm.